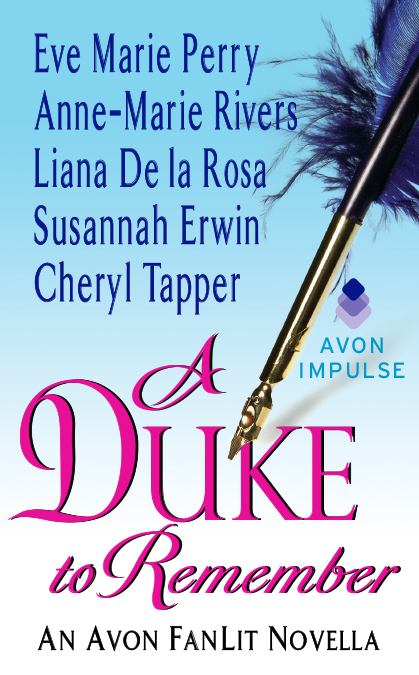 For the first time, read all the 2015 Avon FanLit winning chapters as one amazing, free novella – A Duke to Remember! Lady Felicity Stratford was left heartbroken and alone when Maxwell Trent was exiled from England ten years ago. Now, as the Duke of Highclyff, he’s welcomed back… but not by everyone. Maxwell Trent was too young to be tied down, even to the woman he loved. The decade since has left him older, wiser, and questioning the decisions he’d made as a young man. Will they repeat the mistakes of their past? Or this time, will love prevail? Between a forbidden balloon ride, a runaway monkey, and a life-changing ball, Max and Felicity discover the truth of what happened all those years ago and they must decide if true love really can last forever. A Duke to Remember is available for free on Amazon, Barnes & Noble, Google Play, Harlequin, and from the publisher, HarperCollins. One fun behind-the-scenes fact: here’s Anne-Marie’s take on what Max & Felicity and Birdie & Wakefield look like! Sign up for news on Anne-Marie’s upcoming books and more fun facts here!